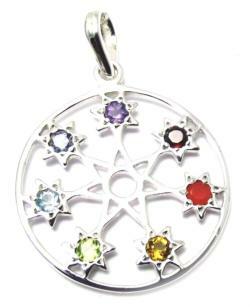 7 quality faceted chakra stones corresponding in colour and order with the 7 chakras. 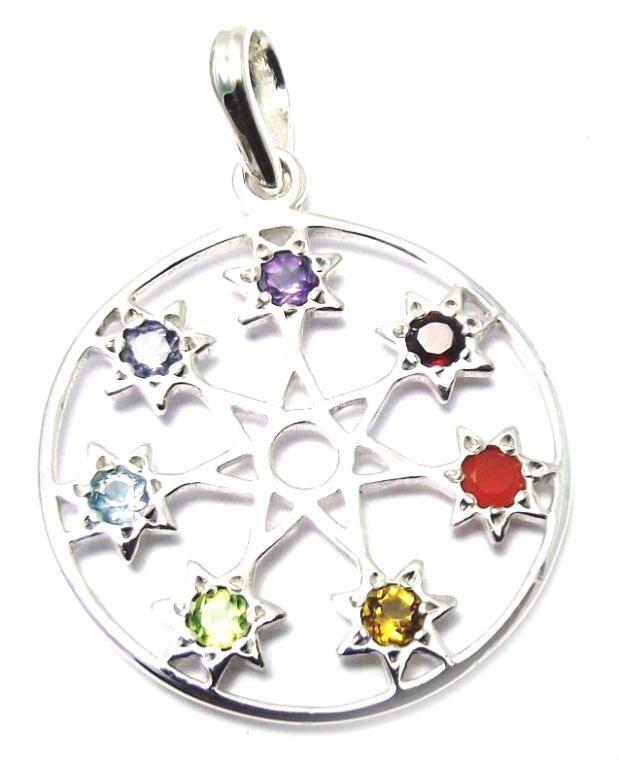 Chakra pendants resonate with the chakra of the corresponding colour frequency to heal, balance and energise for optimum health. Made with handpicked, first quality 3mm gems. Set with open backed settings for maximum energy transfer to the wearer. Sterling silver. 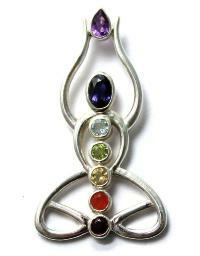 Garnet, carnelian, citrine, peridot, blue topaz, iolite and amethyst. All our stones are guaranteed natural and untreated (not heated, irradiated, dyed etc. ).